I am a potter working in Essex, England. I use British Terracotta clay to make contemporary Slipware using traditional techniques, sustainable materials and firing methods. My pots are functional, demonstrating ergonomic design and a skilled mastery of throwing, I feel the warm colours of the terracotta and burnt yellows of the glaze that pool in the recesses of their textured and faceted surfaces lend themselves to modern interiors better than colder more austere porcelain vessels made in stoneware. I also feel that using clays and techniques that are historically European is culturally important. British pottery was historically made this way before industrialisation, with one potter providing all the pots their community required. 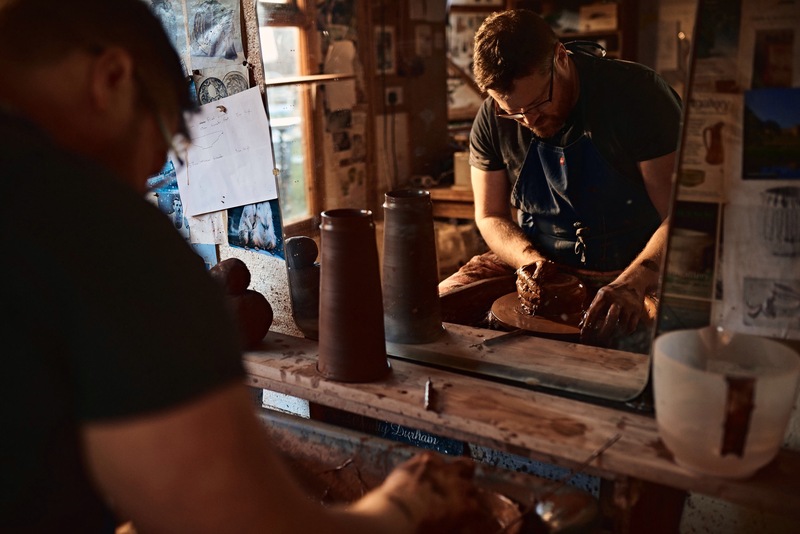 It represents a simpler, romantic way of living that I embrace wholeheartedly transforming base clay into beautiful handmade objects that enrich peoples lives every day.